“Getting this story out there is important because it helps us to grow as people," says Boseman. 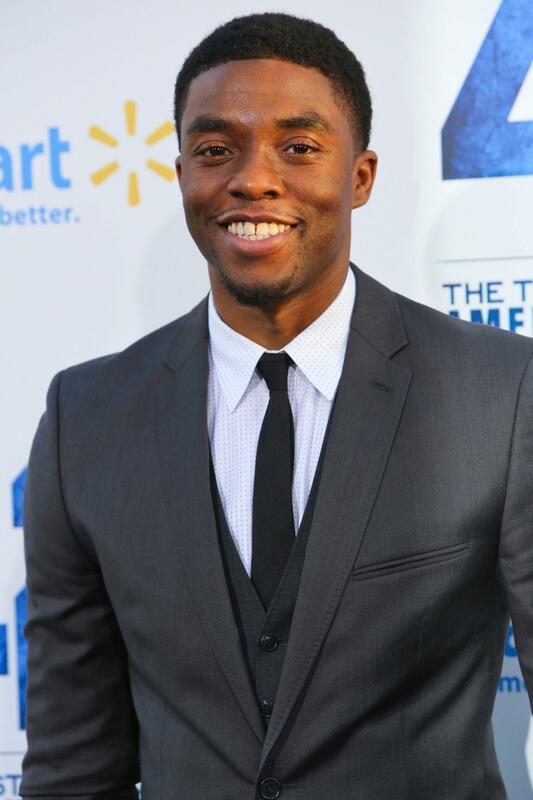 Chadwick Boseman is ready for the big leagues. After making a name for himself on shows like Lincoln Heights and Persons Unknown, the 30-year-old Howard University grad landed a role most actors merely dream about—bringing Jackie Robinson’s story to the big screen. In 42, Boseman turns in a riveting performance as the hall of famer, best known for breaking the “color barrier” and becoming the first African-American player to integrate Major League Baseball. But there is more to Robinson’s legacy than home runs and stolen bases. 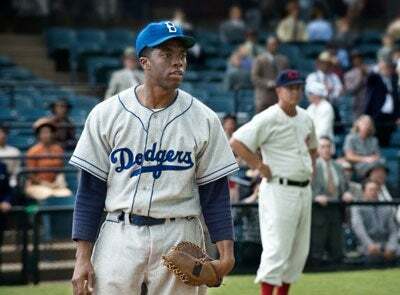 In the film, Boseman humanizes the Brooklyn Dodger first baseman and adeptly captures the challenges and hatred Robinson faced during that tumultuous time. Instead of giving viewers a sanitized version of history meant to show Robinson at his best, Boseman masterfully depicts the emotional turmoil Robinson experienced. His mesmerizing performance impressed fellow 42 star, Harrison Ford. Boseman, who also studied at the prestigious British American Drama Academy in Oxford, England, trained for months to prepare for the role, often sacrificing his body to properly emulate Robinson’s famed skills. Despite the taxing physical demands, it was important for Boseman to expose audiences to the man behind the lore. To learn what made Robinson tick, Boseman spoke with Jackie’s widow, Rachel Robinson, who was heavily involved in the film. 42 opens in theaters on April 12.